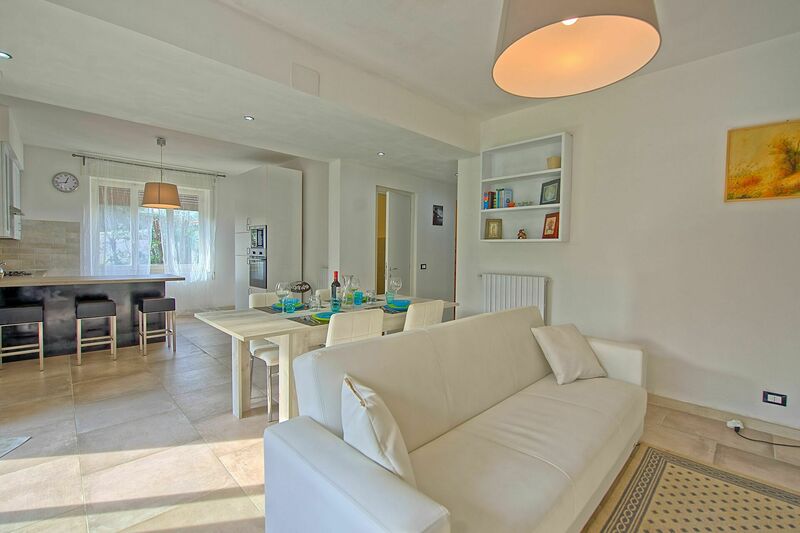 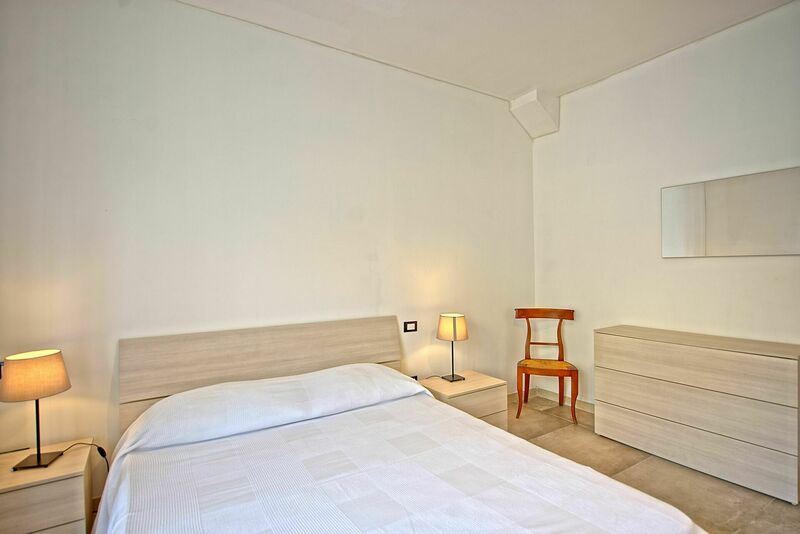 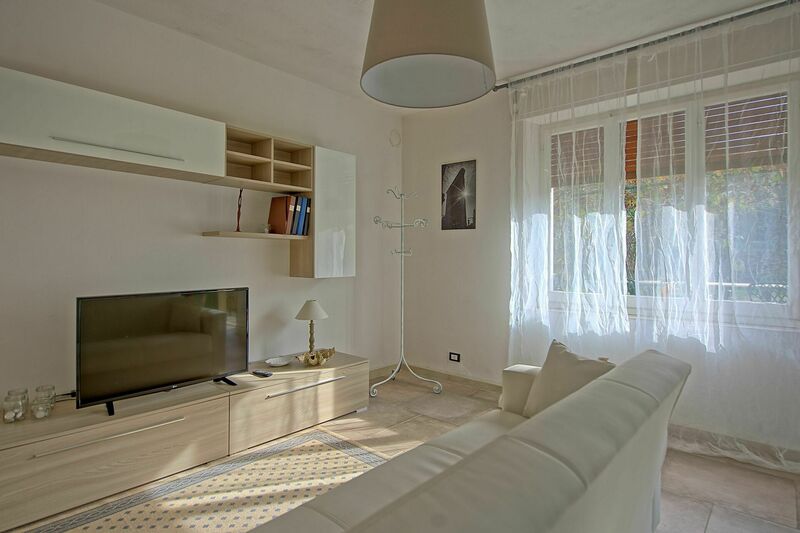 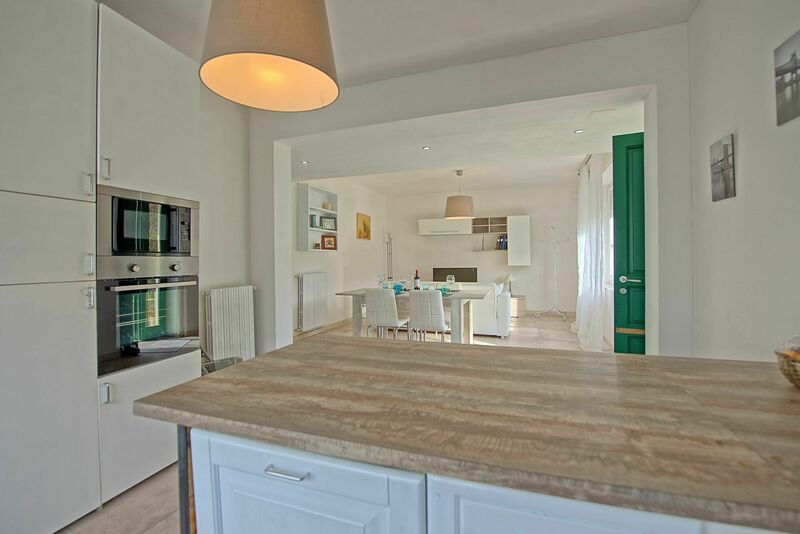 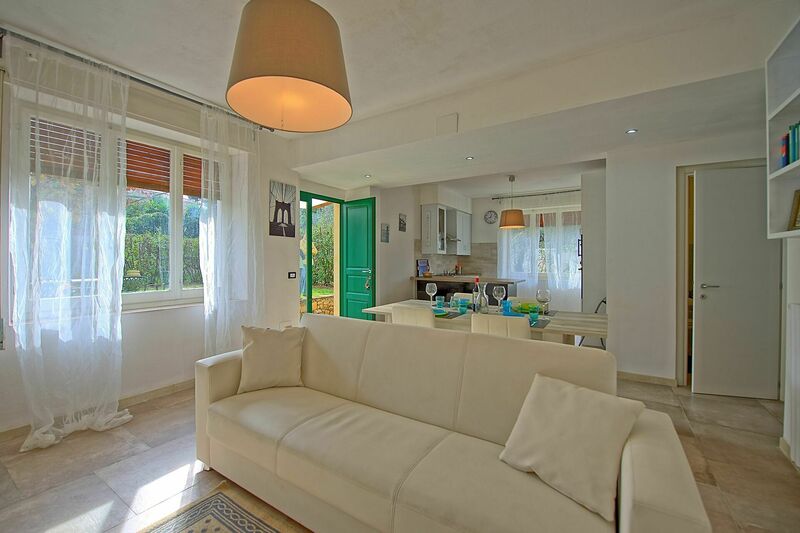 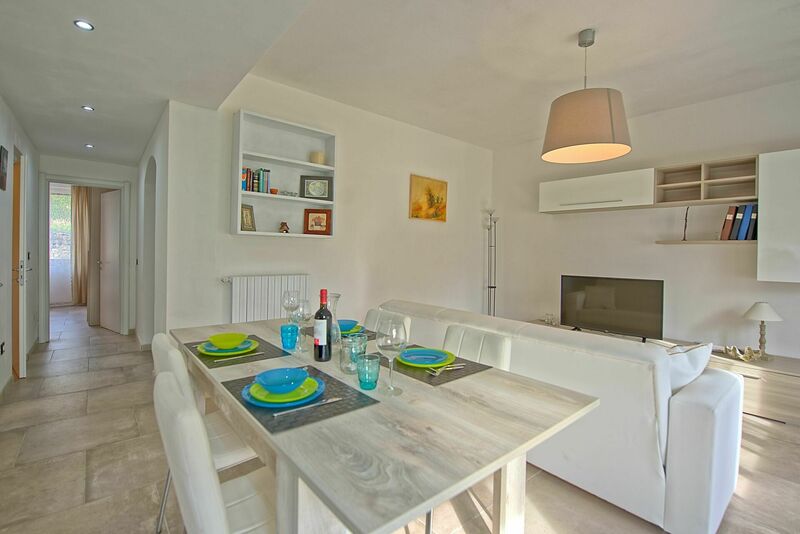 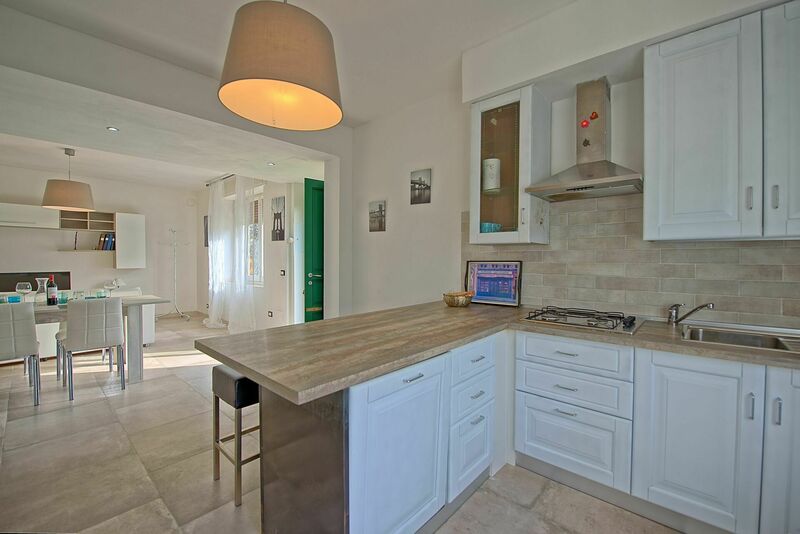 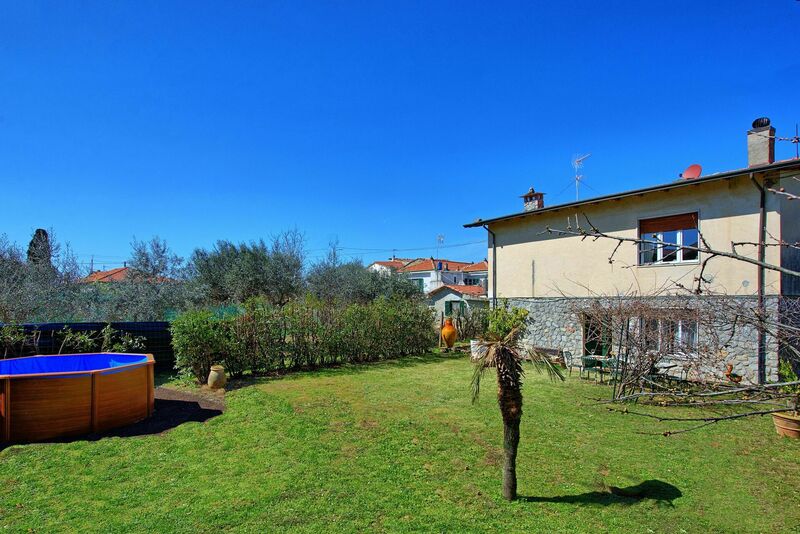 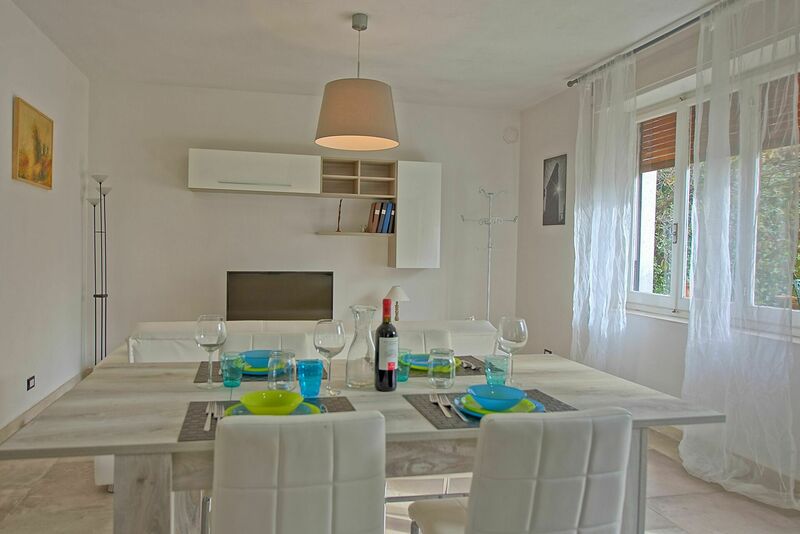 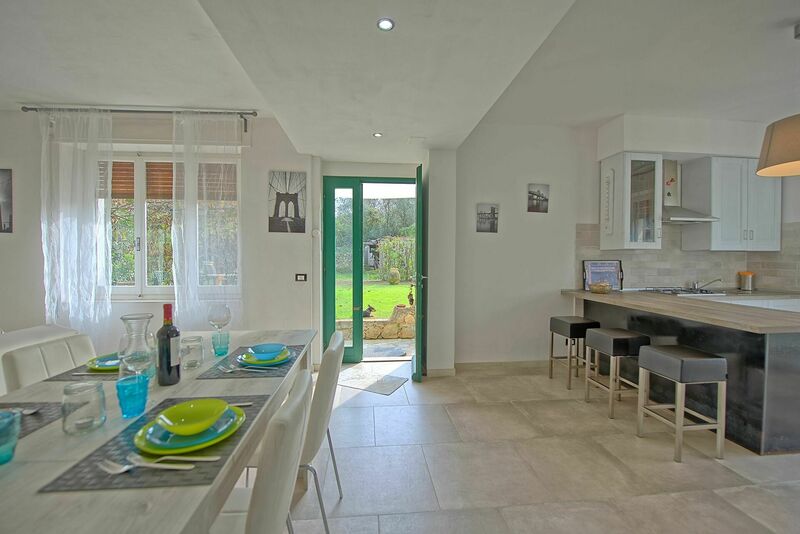 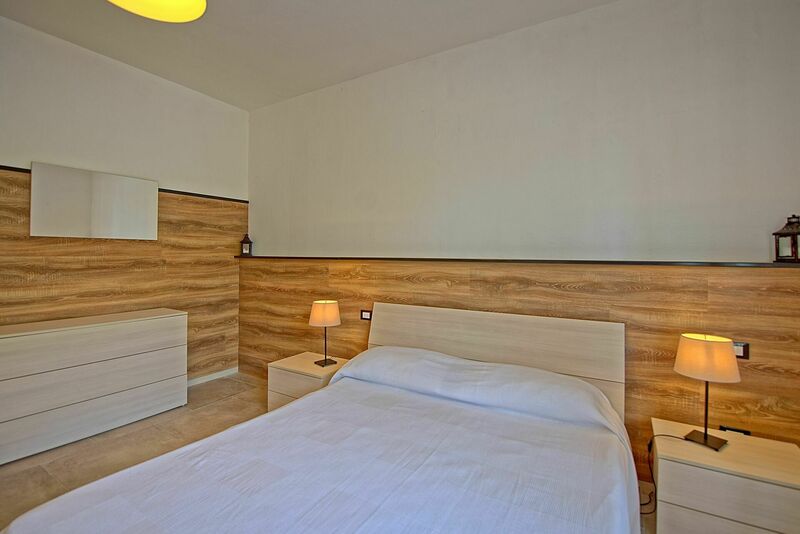 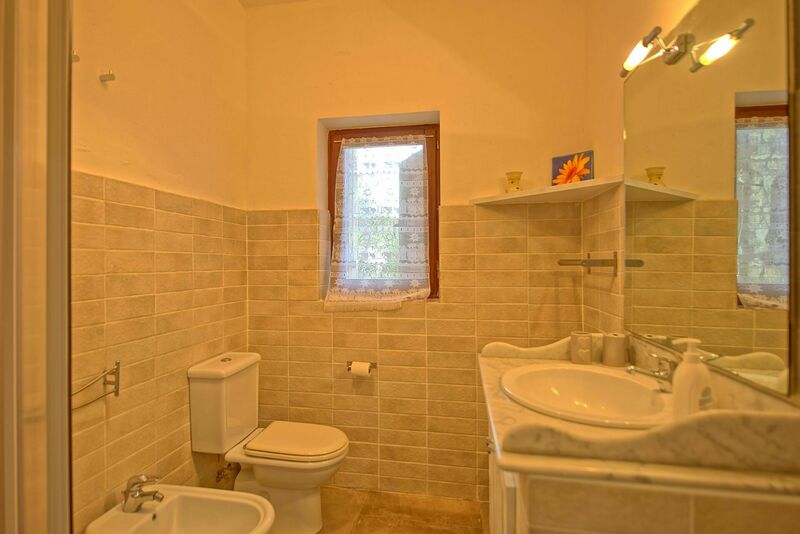 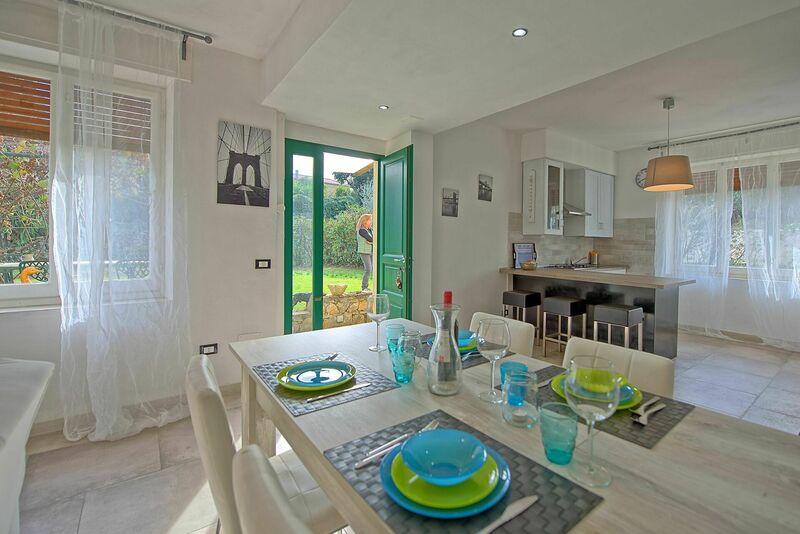 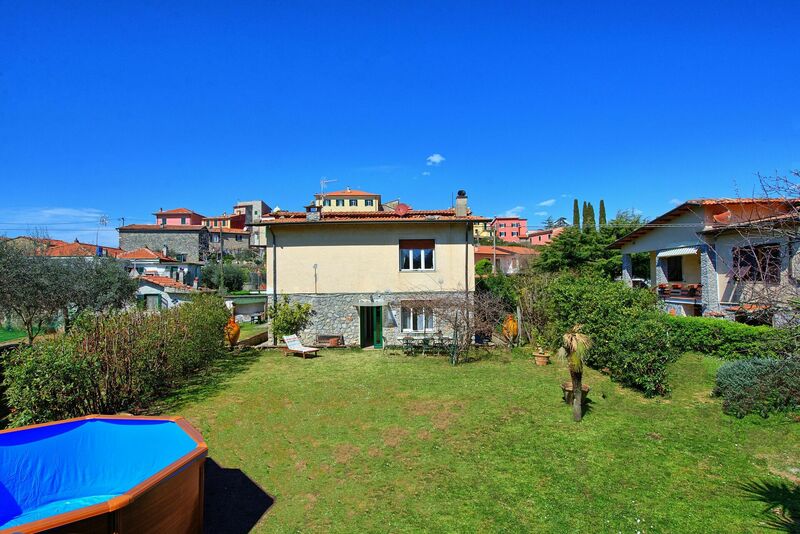 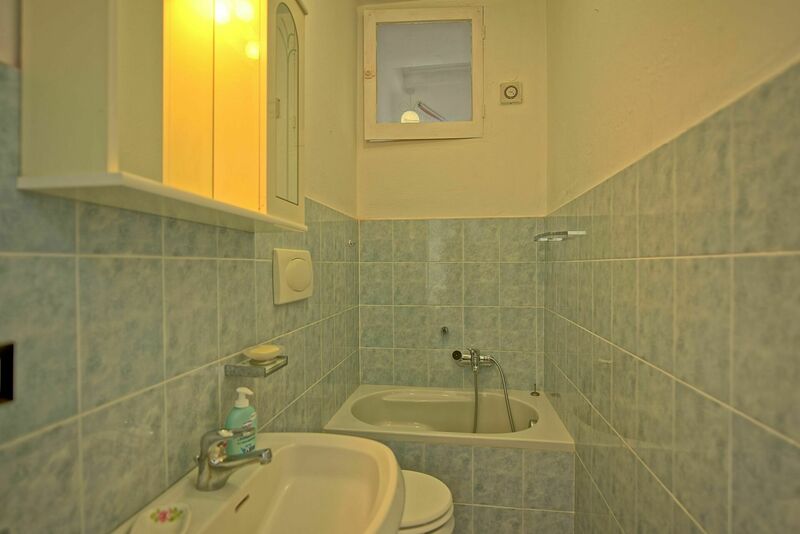 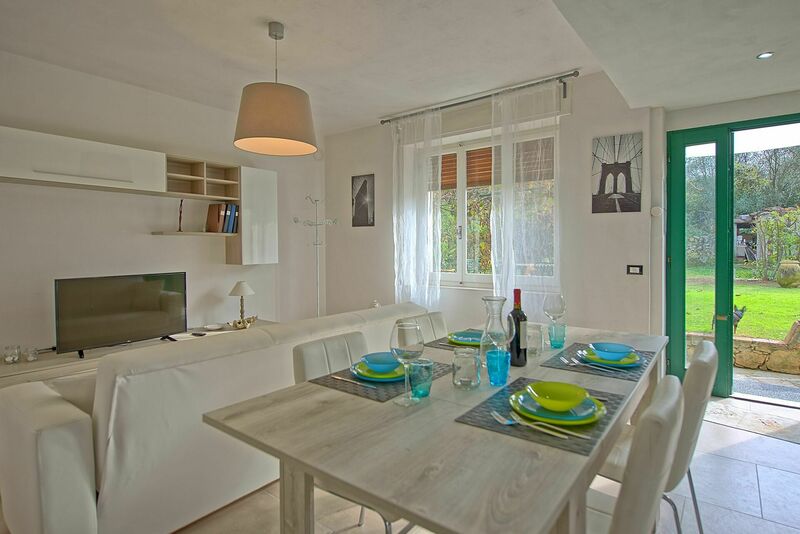 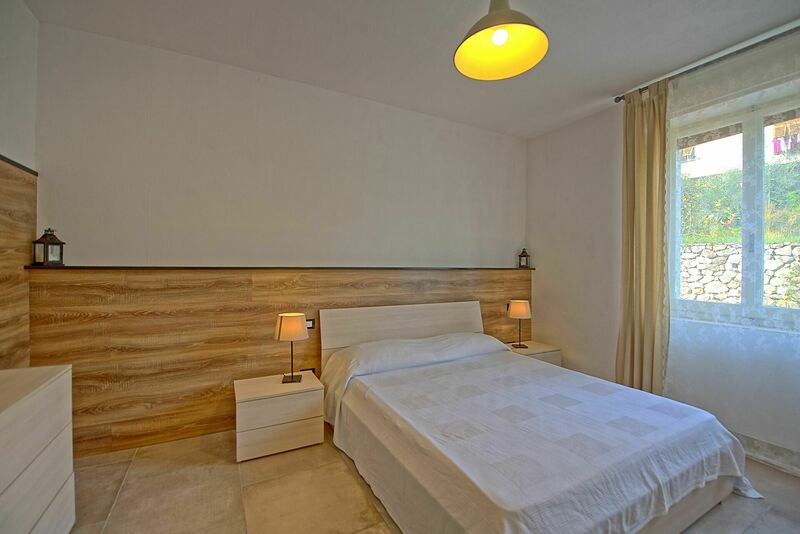 Comfortable, spacious apartment rental with pool in the town center of Montermarcello, Liguria. 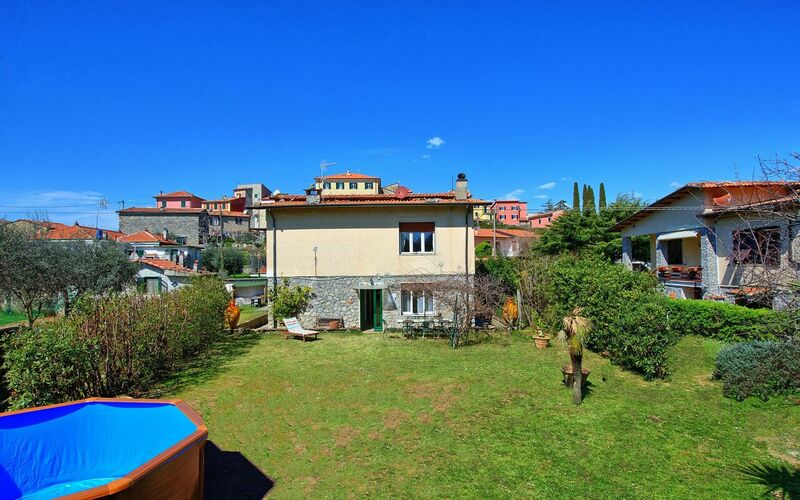 Montemarcello is one of the 100 most beautiful hamlets of Italy, located above Puntacorvo in an area with very panoramic views. 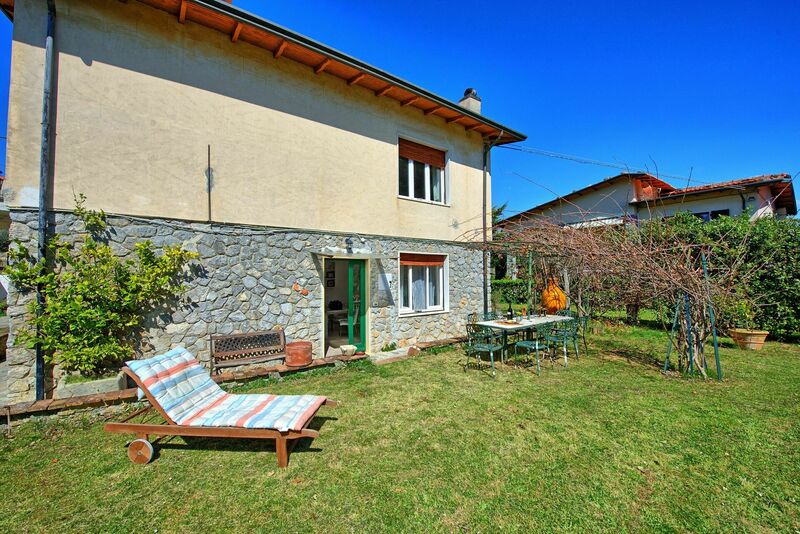 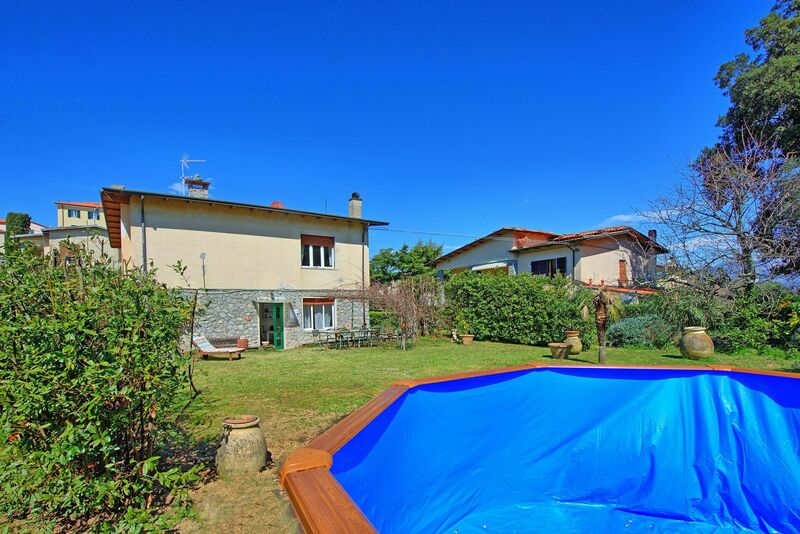 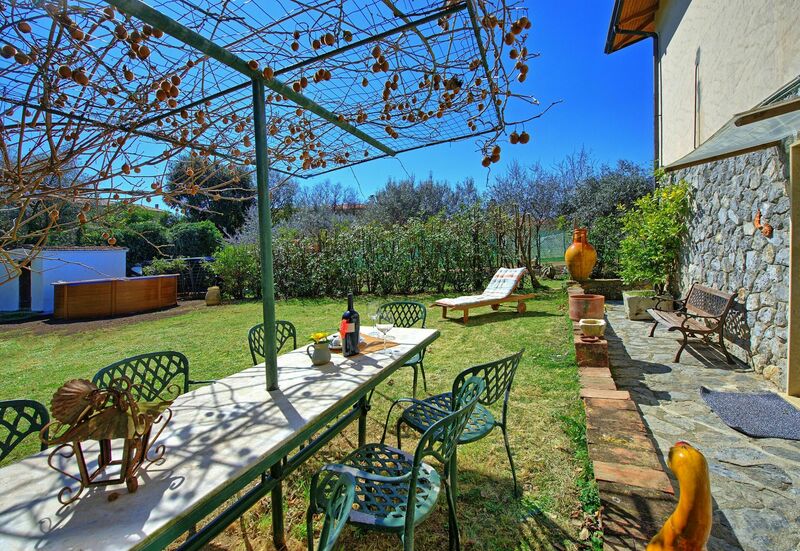 The owners live above the rental apartment, however they do not use the garden or pool, which are for the exclusive use of Casa del Bosco guests. 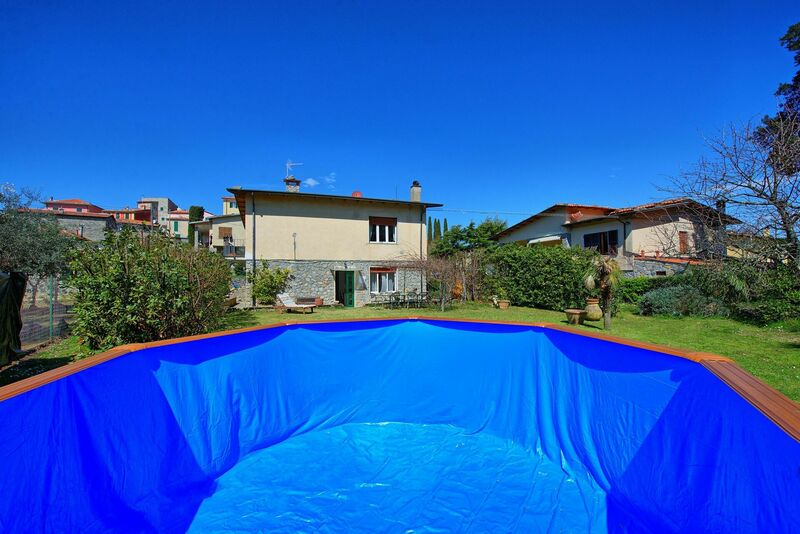 The pool will be ready, with photos available, as of March 2019. 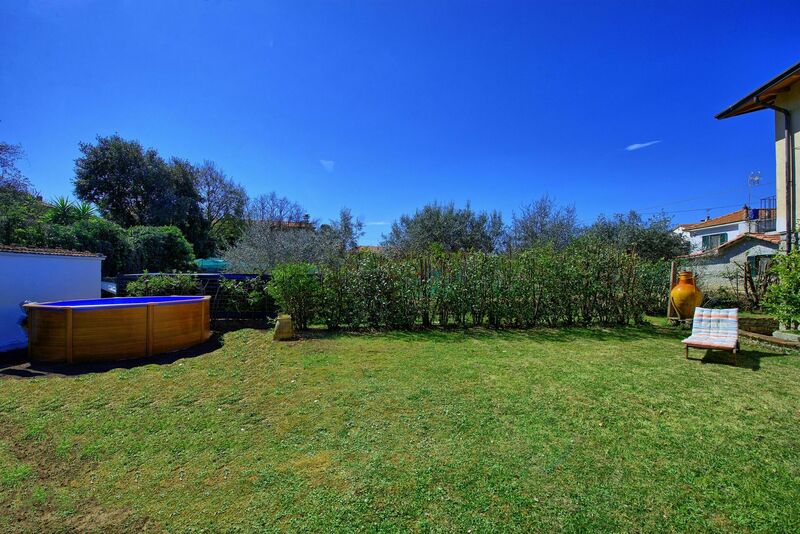 Though in town, this apartment boasts a large garden with a pergola out front (furnished with table and chairs), barbecue and private above-ground pool equipped with umbrella and beach chair for hot summer afternoons. 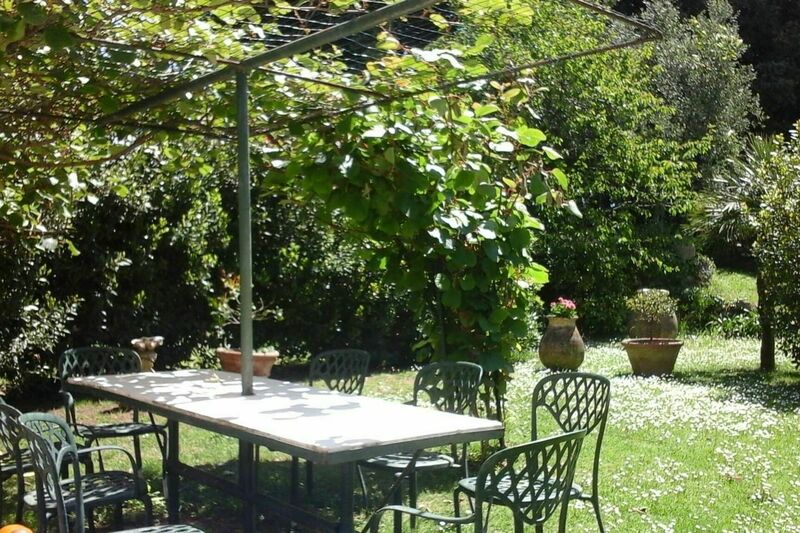 The garden borders on a wood of oak trees (also property of the apartment owners). 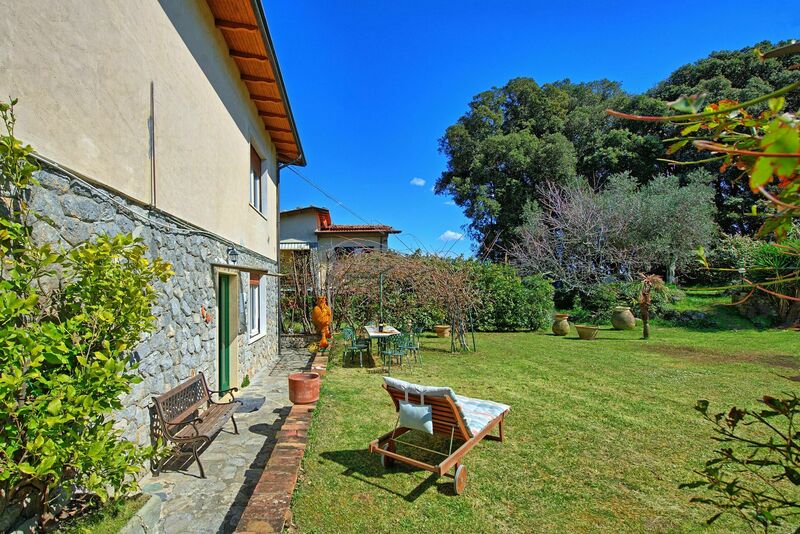 Casa al Bosco is a unique rental because it offers both the advantages of a country house (garden, pool, barnyard animals like hens and geese in the neighboring plot of land, woods, etc…) and town house (close to shops, bars, restaurants, nearby neighbors, etc…). 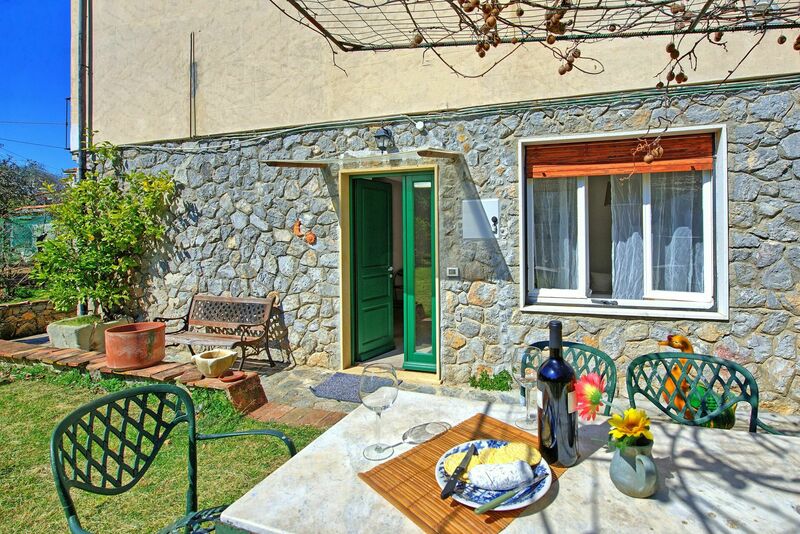 Convenient parking right in front of the apartment is another advantage. 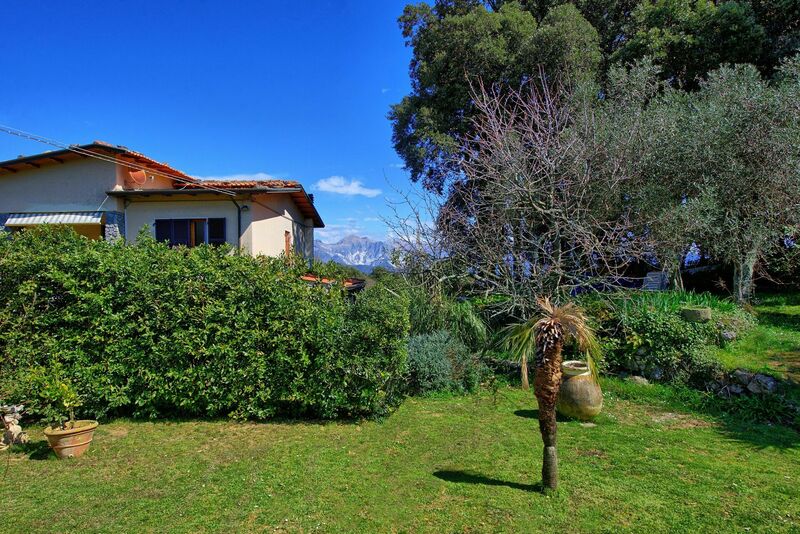 Its strategic location is within easy distance of both the attractions of Liguria, such as Lerici and Portovenere; and Tuscany, such as Forte dei Marmi, Lucca, and Pisa. 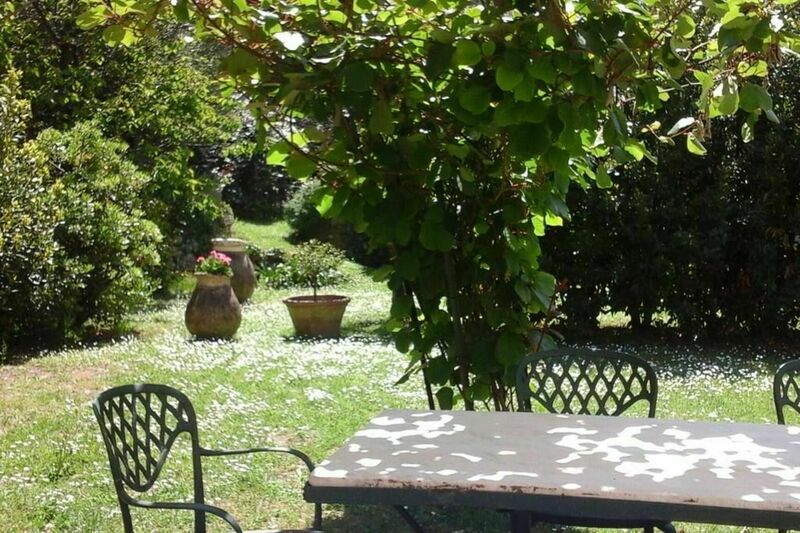 Distances: In the hamlet of Montemarcello small grocery store, bar, 2 restaurants, post office; beach 5 km; Lerici 8 km; La Spezia 18 km (train station); Portovenere 32 km; Cinque Terre National Park 28 km; Forte dei Marmi 35 km; Lucca 63 km; Pisa (airport) 65 km. 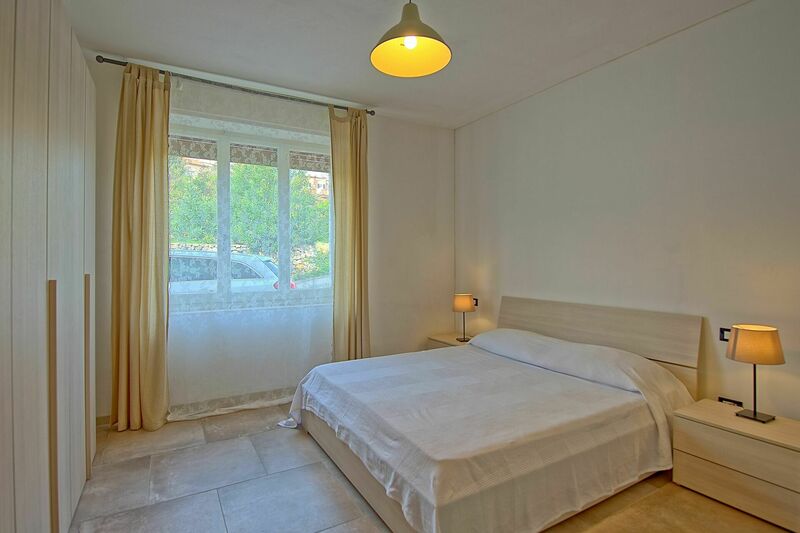 Ground floor: entrance onto the living area (TV) with double sofa bed and dining area with kitchen corner (oven, freezer, microwave, dishwasher, 4 burners), bathroom with half bathtub (without bidet), double bedroom (air conditioning), hallway with washing machine, bathroom with shower, double bedroom (air conditioning).